It will be years before pensioners hit by an anomaly in the system see any of the money deducted from their State payments since 2012. Around 42,000 people, mainly women, are missing out on up to €35 a week because they took time away from the workforce for a period prior to 1994. A campaign to get the money restored has been running since October when Finance Minister Paschal Donohoe described the situation as "bonkers". Hundreds of pensioners turned up outside Leinster House yesterday to voice their disgust, just as Social Protection Minister Regina Doherty (inset right) was making the case to fix the anomaly at a private meeting of ministers. It is understood the Government will not reinstate payment from January 1 as demanded because that would cost €70m this year alone. However, Ms Doherty is believed to have tabled proposals for later in the year, depending on finances available within her department and from Mr Donohoe. Sources told the Irish Independent that while there is some hope of reinstating the pensioners to the higher rate, there is no chance they will get back payments any time soon. Some older people could be owed as much as €9,000 for money they were denied since 2012. One source indicated such a move could be considered in the context of much larger pension reforms planned for 2020, but another said it may never be possible. Justin Moran of Age Action warned that unless Ms Doherty is able to put forward positive proposals soon he expects the level of protests to ramp up. "I think that's for definite. We'd so many people turning up today wanting to know when is the next protest and what they can do to organise something in their own locality. "This is only going to grow legs," he said. Mr Moran said the primary focus would be to initially get the higher rate restored but in time they would like to see back payments. 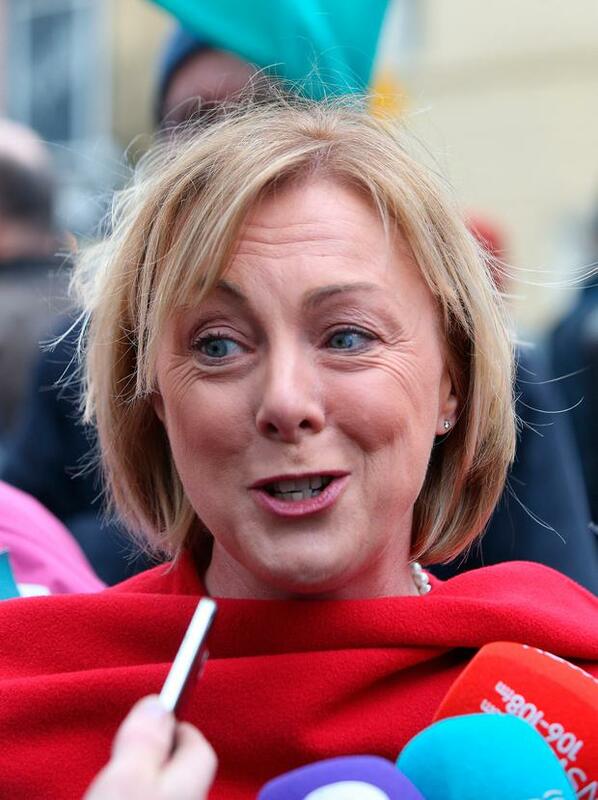 Ms Doherty spoke with protesters outside Leinster House yesterday but was unable to offer firm solutions. The minister said she would do her "very, very best to fix this situation" at Tuesday's Cabinet meeting. She also said "extensive work" was being done to address the problem for next week's Cabinet. "I obviously would be ambitious and hopeful, but I can't determine the outcome of that meeting," she said. "The only reassurance I can give people is that I will fight very, very hard to make sure we address the anomaly as I have said on numerous occasions between now and when the issue became very, very prevalent after the budget in 2017 negotiations." However, she could not make any guarantees.